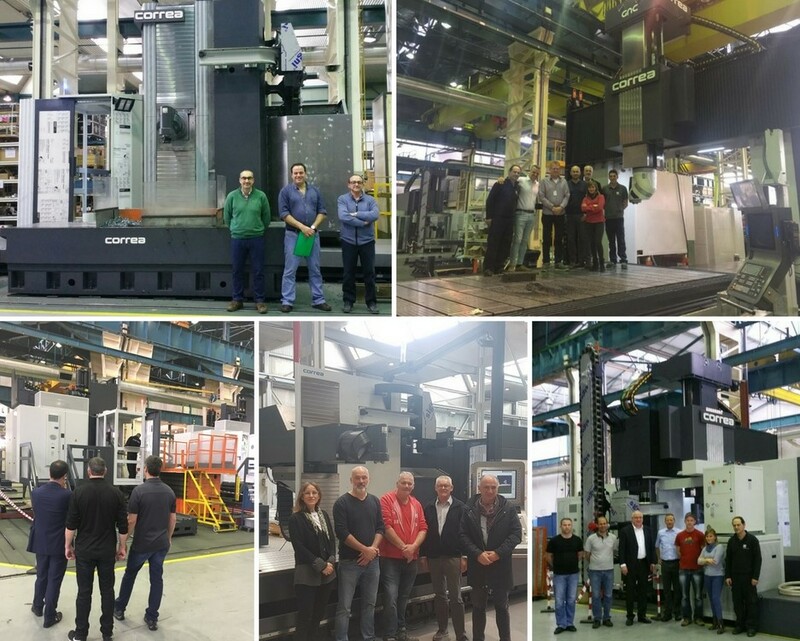 Nicolás Correa Group has successfully delivered the first milling machines of the 2018 year in the main plant of Burgos and in the GNC Hypatia plant. FENIX, FOX, AXIA and NORMA have been acquired for some of our customers. Our French customer Louet, specialist in the machining of large metal parts, has assisted recently to its new Correa NORMA-35. It is not the first time that Louet trust Nicolás Correa Group, the French company got the Correa Gantry type milling machine VERSA-M for the manufacturing of large dimension metal. Last 27 Mars, our Portuguese customer, Ribapor, company focused on medium and large parts industrial solutions in the field of Metal Mechanic Industry, acquired a FENIX-70 milling machine model. One of the latest receptions held at Nicolás Correa main plant was the one of our Dutch customer Sanders, company integrated in the capital goods sector. In this case, Sanders has acquired a FOX-50 model with the UDX milling head, a mechanical transmission head with unique features in the market and an unprecedented flexibility. The UDX head is able to perform 10,000 rpm (S1) with rotation every 0,02º thanks to the double Hirth coupling patented worldwide by Nicolás Correa. During the same week, our Swiss customer Franke, company integrated in the capital goods sector, as well, got a FOX-30 with full enclosure guarding. Our Canadian customer Rotobec has recently acquired a Correa AXIA-100 model. Rotobec has an important presence in sectors such as scrap recycling, waste handling, railroad maintenance and construction and bulk material by using the most advanced technologies throughout the design and production process.